Peter Liu is a jack of many trades. Among other things, he is a WordPress developer, technical management professional, computer industry veteran, photographer, videographer, scuba diver, and founder, chief cook and bottle washer at 47scapes. 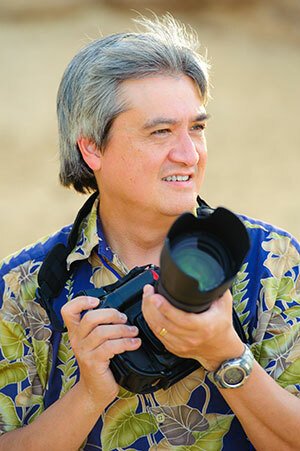 He moved to Maui from the Silicon Valley in 2005 to expand his horizons after a successful career in the computer industry, where he gained extensive experience in technical support, software development, marketing, and management, of both people and projects. He witnessed first hand the growth of the industry from mainframes to the internet, working for Syncsort, Amdahl, Netscape, iPlanet and Sun Microsystems. After another successful career in photography, marketing, and social media, Peter found that everything he does relies more and more on sophisticated technology, and his prior knowledge and experience comes into play on a daily basis, no matter what field he goes into. Today, Peter focuses on solving technology problems for individuals and businesses.